“Zombies, axes, giants, blades/ So many ways for a gruesome fate"
George R.R. Martin is not shy about killing off popular characters from Game of Thrones. 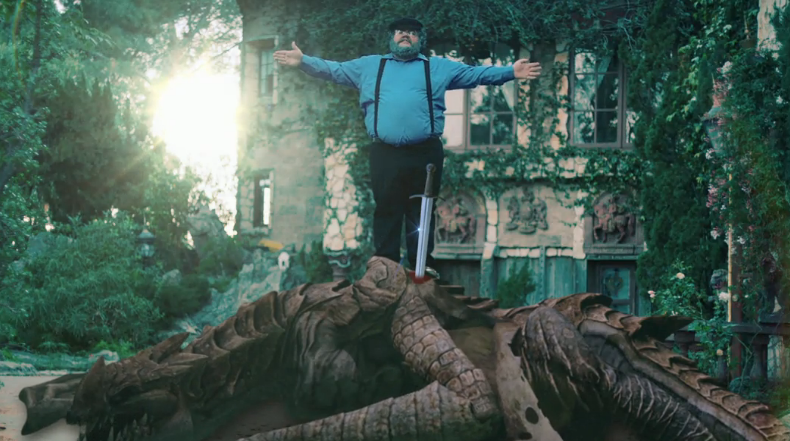 In this music video parody of Taylor Swift's 'Blank Space' entitled 'Blank Page,' Martin (Nick Mundy) throughout reminds fan-favorite Daenerys Targaryen (Emily Rudd) that her fate rests in his hands. This Nerdist Presents video was directed by Andrew Bowser and Ben Mekler. The brutally honest tune was written by Freddy Scott. It also stars Brandon Hillock as Jon Snow. Daenerys’ costume was provided by Courtoon.